Ralph TOMPKINS (1585-1666) was Alex’s 11th Grandfather; one of 4,096 in this generation of the Shaw line. Ralph Tompkins (Tomkins) was born 5 Aug 1585 Monington, Herefordshire, England. His parents were John TOMKYNS and Ellen STANIS. He married Katherine FOSTER (or CARDWELL) 6 Nov 1608 – Buckinghamshire, England. Ralph and Katherine Tompkins came to New England in the fall of 1635 on board the ship Truelove. Katherine died shortly after arrival and John married Hannah Abourne in 1635 in Bridgewater, Plymouth, Mass. John died 12 Nov 1666 in Bridgewater, Plymouth, Mass. Katherine Foster was born in 1577 in Wendover, Amersham, Buckinghamshire, England. Her parents were Patrick FOSTER (1558 – 1609) and Helen GREENWAY (1566 – 1609) Maybe her father’s name was Peter Foster. Other sources say that her maiden name Katherine Cardwell and was born in Wendover, Buckinghamshire about 10 miles away. Maybe she was born between the two market towns. Katherine was eight years older than Ralph. Maybe Cardwell was the name of her first husband. Hannah Aborne was born 1600 in England. Her parents were Thonmas Aborne and [__?__]. an early settler of Salem, MA. She may have been much younger than her husband and within the child bearing years but this is conjectural. Samuel Aborne calls Hannah his sister in Ralph Tompkins estate papers. Samuel deposed age 52 in 1666. Hannah died 1666 in Salem, Essex, Mass. Thomas Abourne was living in Salem in 1642 at which time he was an old man according to the record. He had been made a freeman May 14, 1634 and by trade was a tanner. Feb 20, 1636 it is recorded in the land grants of Salem that “Thomas Eaborne may have the three acres next to Ensign davenport tenn acre lott laid out without warrant.” In 1642 “ould Thomas Eaborne was “presented for wronging the country by insufficient tanning. His answer was acceptable and he was admonished and is only to pay ye witness 2/3.” It is not proved that he was the father of Katherine, but no reasonable doubt of the fact exists. Plymouth, Mass Bridgewater, Plymouth, Mass. Salem, Mass John FOSTER Sr.
Ralph at age 50, left England on the Truelove in Sept, 1635 with his wife Katherine (age 58) and children: Samuel (22), Elizabeth (18), and Marie (14). Katherine Fosterr was eight years older than Ralph and may have been a widow. The story that John FOSTER Sr. was her son and came with them to Salem is probably untrue. I don’t think they would have let him marry his half-sister! It is said that Ralph settled in Dorchester, MA, Bridgewater, MA, Salem, MA, and he returned finally to Bridgewater, MA to be with his son, Samuel. Ralph resided at Dorchester, MA, in 1637, and became a freeman on May 2, 1638. 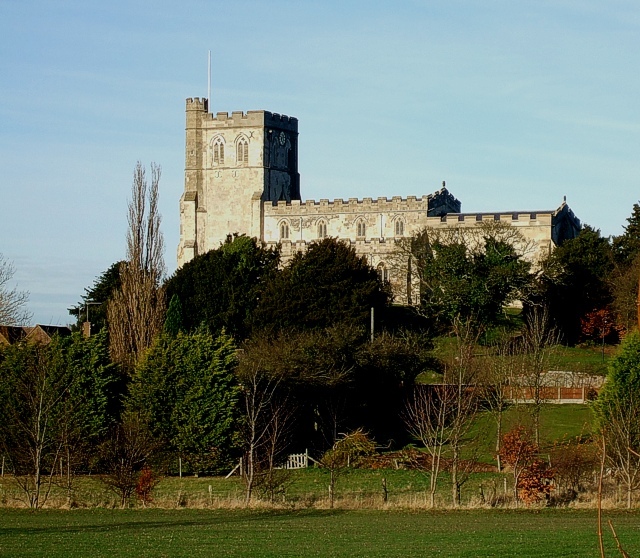 1639 – He was left a household article in the estate of widow Judith Smead of Dorchester. 1639 – Ralph is identified as the “goodman Tomkins” who is mentioned as a recipient in the widow Smead’s will in Dorchester.. At some point the family moved to Milford, CT Colony; however, it was a marshy area and unhealthy and they moved back to Mass. 3 Apr 1642 – Wife Katherine was admitted to the Church. (probably in Dorchester, MA). Some say that this is proof Katherine Foster lived until then, but this could have been Katherine Eborne as well. 2 Jun 1648 – Ralph Tompkins sold house, lands, and common rights to John Farnham of Dorchester, MA. 23 Jan 1642 – The Town of Salem grants to Brother Ralph 10 acres of land “next to Brother King’s lott”. 29 Jan 1648/49 the Salem selectman granted a small piece of meadow lying near Major-General Endecotts land in a corner by a small brook and a great swamp. There are other land evidences recorded in Essex County for Ralph Tompkins. 8 May 1654 -Town of Salem confirms this grant. These details would seem to indicate that Ralph was permanently removed to Salem as early as 1642 or as late as 1648 and remained there until he buried his second wife in Salem, MA, and then removed to Bridgewater, MA, to his son Samuel, where he died in 1666. 1666 – Ralph died in Bridgewater, MA, probably at his son, Samuel’s home and probably a widower for the second time. His property in Salem was inventoried on Nov. 12, 1666. Administration was granted to son John, who had the land, and after the debts were paid, the rest to Mary, the daughter of John Foster. (Mary was also Ralph’s granddaughter by his daughter Martha, by his second wife). 27 Nov 1666 – Administration of Ralph’s estate was granted to John Tompkins who presented an inventory on 12 Nov. 1666. The Court ordered that the five acres of land mentioned in the inventory be given to the said John and after Ralph’s debts were paid the remainder of the estate was to be given to his granddaughter Mary, daughter of John Foster who married Hugh Jones in 1672. Samuel (his mark) Aburne, aged 52 years deposed that the burial of the wife of Ralph Tomkins, late deceased, as soon as the company had departed he went into said Ralph, who was weak and not likely long to survive his wife, to put him in mind of making his will. He also wished to speak with him about the will which his wife made which was to dispose of what was hers before her marriage. Deponent told Tompkins that his sister, Tompkins wife, had bequeathed all her property to Mary Foster because she had been so helpful to her during her long sickness, doing for her what nobody else would do. Tompkins replied that he fully agreed to this but he would like to have the use of it during his life and he would rather increase than diminish it. Before making his will he would first talk with his son Foster, and deponent thought that it was his intention to give what he had to Mary Foster. Also that Tomkins was of this mind when he was removing to Bridgewater, and when, thinking never to see him again, depondent reminded him of Mary Foster. An (her M Mark) Small aged about 50 years, deposed that Goodwife Tompkins told her that she had willed all to Mary Foster and that the cow was brought up from a calf for said Mary. Edward Grove, aged about 40 years also deposed..
John’s wife Margaret Goodman was born 1612 in Edlesborough, Buckinghamshire, England. Some family trees list Margaret Goodman as the daughter of the Mayflower Pilgrim, John Goodman (1595 – 1621). This is not correct. Several different genealogical asso., including the New England Historic Genealogical Society, state John Goodman had no descendents. Margaret died 18 May 1672 in Fairfield, Fairfield, Connecticut. John is not listed as a passenger, when his parents came to the new world on the Truelove in 1635. Either their names were omitted from the passenger list, or John and Margaret Goodman Tompkins must have come on another ship before March 1636. John first appears (with others) in the records of Salem, MA, on March 20, 1636. They were ..”promised to be received as inhabitants of the town if they “pcure free dismission”. At a town meeting on July 12, 1637, John and others are received as inhabitants. Five acres of land are granted to him. At a town meeting on Dec. 25, 1637, land is distributed and John is given one-half acre of land which would indicate only two in family. On Jan 29, 1637, the town grants to John Tompkins, 5 acres lying by his other 5 acres. On May 18, 1642, John appears on the list of Freemen. Since there is no record of Ralph in Salem records until May 2, 1638, when he requests a desire to be a freeman of Salem, we can assume that Ralph settled in other towns first, and then joined his son John in Salem, sometime after 1638. In fact, Ralph was granted 10 acres of land on Jan 23, 1642, by the town of Salem. He relocated from Dorchester, MA, sometime in this time frame. 1649 – John Tompkins and Nathaniel Tompkins are listed as inhabitants of Fairfield, Fairfield, Ct.
1658 Lot #88, 1664 Lot #89, 1675 Lot #61 -The Division of the North Fields was laid out before the Salem town records were begun. Most of the original lots consisted of ten acres each. See the above link for the location of John’s land. 1666 – Son John administratively receives the land in Salem, that was owned by his father, upon Ralph’s death; the rest goes to Mary, daughter of John Foster. Ralph’s Salem, MA, inventory is dated Nov. 12, 1666. Perhaps John Tompkins returned to Salem, MA, at this time. 22 Aug 1663 – The Salem selectmen granted John Tompkins all the land lying at the end of the five acres he purchased of Jefferie Estee next to Robert Cotte 20 John was a freeman in Salem in 1642. At the time of is death he owned land, a dwelling house, barn, outhouse, orchard and about 17 acres of improved land valued at 100 pounds. 30 June 1681 – An inventory of John’s estate was taken by Edward Batter & Nathaniel Felton Jr. amounting to 141-17-00d. Administration of the estate was granted to Mary, the relict on 28 June 1681. An addition to the inventory of 9f taken by thesame persons mentioned that the estate of the relict before marriage was 125-12-00d. This record mentions John’s children in the following order: Nathaniel, John, Sarah, Elizabeth, Mary, Deborah and Priscilla Tompkins. The estate papers contain the depositions of Josiah White and Rememberance, his wife – these deponents testified that they heard John Tompkins Sr. say sundry times that it was his will that his son Nathaniel Tompkins being his eldest son should have his then dwelling house with the barne and ground thereunto belonging for he had given his other children something considerable for their portions and this was spoken a short time before the said Tompkins his disease – Sworn 30 Nov. 1681. The widow was to have two thirds of the house and land during her life and son John Jr. 5li; the five childen of Hugh Jones, whose wife Hannah was now deceased were to have 20s each. The remainder of the estate was equally divided among the seven children of the deceased. One of John and Margaret’s daughters Hannah Tompkins (21 Dec 1641, Salem, Mass – 10 May 1672 Salem) was the first wife of Hugh Jones who later married John FOSTER Sr’s daughter Mary. TOMPKINS, JOHN, Salem 1637, freem. 18 May 1642, by w. wh. I guess to be named Margaret, had Hannah, bapt. 10 Feb. 1639, b. some mos. bef. and d. soon aft. ; Elizabeth 9 May 1639, d. young; Hannah, again, 21 Feb. 1641; Sarah, 1 Jan. 1643; John, 16 Feb. 1645; Elizabeth again, b. 29 Nov. 1646, bapt. 17 Jan. 1647; Mary, bapt. 29 Apr. 1649; and Deborah, 8 June 1651, wh. m. 5 Nov. 1671, Nathaniel Silsbee. His w. Margaret d. 18 July 1672, and in Sept. 1673 he m. Mary Read, and d. 23 June 1681. Hannah m. 26 June 1660, Hugh Jones; Sarah m. 1 Aug. 1663, John Waters; and Mary m. 29 Nov. 1670, John Felton, all of Salem. But this inv. of 30 June 1681, ment. oldest s. Nathaniel, prob. b. in Eng. and Priscilla, prob. the youngest, wh. m. 14 Aug. 1679, Samuel Marsh. Nathaniel Tomkins appeared at Providence, RI in 1650 with “a younger son” (Nathaniel Tomkins. He had been a merchant at Boston and other New England localities. NATHANIEL, Newport 1675, tempor. resid. at Boston, a merch. in 1681; may be the same who was of East Chester sev. yrs. bef. but for perman. liv. at N. where by w. Elizabeth he had Nathaniel, b. 31 Dec. 1676, perhaps d. very soon; Mary, 16 Sept. 1677, d. young; Priscilla, 24 May 1679; Samuel, 11 May 1681; and Mary, again, 20 Oct. 1685. Samuel’s wife Lettice Foster was born in 1615 in England. Will dated 1673 – age 63, his land went to Francis Cary brought up and lived with Samuel. will mentions brother John Tompkins, cousins Mary Foster, Elizabeth White, Hannah Doggett. Some researchers say Micah was Ralph’s nephew, not his son; the son of Ralph’s brother John. Micah was 20 years old when his parent immigrated and he did not join them in America until later. He married Mary Freeman 12 Dec 1643 in Bucks, England. Mary was born 1620 in Hardingham, Norfolk, England. Mary died 30 Dec 1702 in Watertown, Middlesex, Mass. The first record we have of him was when he removed from Weathersfield, CT, overland to Milford, CT, in 1639. Micah Tompkins was granted along with 44 others the franchise as “free planter” in Milford in 1639. Micah Tompkins is #15 on the list of the location of the homes of the first settlers of Milford, Ct. The Milford men came in two bodies, those of 1639 and those of 1645. Most of them were from the English counties of Essex, Hereford and York. There were fifty-four heads of families or approximately two hundred settlers. Some came from New Haven, others from Wethersfield, following Rev. Peter Prudden who had ministered there between the formation of his own church at New Haven, August 22, 1639, and his ordination as pastor of the Milford church, April 18, 1640, after which Mr. Prudden took up his residence in Milford. In the fall of 1639 a band of settlers from New Haven went through the woods guided by Indian fighter Thomas Tibbals. Peter Prudden (the Herefordshire minister) led the group.Tradition held that the pioneers of Milford were wholly or in large part discontented settlers from Dorchester and Watertown MA who traveled through the woods to Hartford, to New Haven, to Milford. Supposedly they carried the Dorchester church records with them, and the records were lost on the journey. Most of the settlers had come from London to Boston with John Davenport, Theophilus Eaton, etc. two and one-half years earlier. A year later, they went with the Davenport company to the mouth of the Quinnipiac River. The settlement at Milford was laid out in long, narrow lots, which permitted all settlers to have the same kind of land. The salt hay that grew on the marshy meadow was much prized. Title to the region was based solely on land purchase from the Indians and not upon any grant from the English Crown. The first purchase included nearly all of the present towns of Orange and Milford, and part of the town of Woodbridge. Deeding the land to its new owners was effected with the old English “twig and turf” ceremony. After the customary signing of the deed by both parties, Ansantawae was handed a piece of turf and a twig. Taking the piece of turf in one hand, and the twig in the other, he thrust the twig into the turf, and handed it to the English. In this way he signified that the Indians relinquished all the land specified in the deed and everything growing upon it The Paugusset Indians sold the Wepawaug land in the hope that they would enlist English protection against the Mohawks, who were continually raiding their territory. Micah Tompkins was appointed to a committee to expedite combining the towns of Milford and Branford, NJ, into one township of Newark, in Sussex Co., NJ. He was listed as a proprietor of Newark and on the land distribution list. At the first town meeting in Newark on Feb. 6, 1667, Micah was given a full acre of land because of the remoteness of his land. Newark, New Jersey, was founded in 1666 by Connecticut Puritans led by Robert Treat from the New Haven Colony. The New Haven colonists had been forced out of power for sheltering the judges who had fled to the New Haven Colony after sentencing Charles I of England to death. In August, 1661, Goffe and Whaley commenced their stay there of two years, being concealed in a shop belonging to Micah Tompkins, on his lot. The settlers sought to establish a colony with strict church rules similar to the one they had established in Milford, Connecticut. Treat wanted to name the community “Milford.” Another settler Abraham Pierson said the community reflecting the new task at hand should be named “New Ark” or “New Work.” The name was shortened to Newark. Treat and the party bought the property on the Passaic River from the Hackensack Indians by exchanging gunpowder, one hundred bars of lead, twenty axes, twenty coats, guns, pistols, swords, kettles, blankets, knives, beer, and ten pairs of breeches. The total control of the community by the Church continued until 1733 when Josiah Ogden harvested wheat on a Sunday following a lengthy rainstorm and was disciplined by the Church for Sabbath breaking. He left the church and corresponded with Episcopalian missionaries, who arrived to build a church in 1746 and broke up the Puritan theocracy. On Sept. 10, 1668, Micah was appointed to a committee to build a place of worship in Newark as soon as possible. He as included in the land division at Newark on Jan 1, 1670 and appointed to draw lotts for absent members. At a town meeting on Dec. 12, 1670, Micah received the Grant of another little piece of land. He was on the list of members of the First Presbyterian Church in Newark on Jan. 9, 1687. In the listing of the home lots of the first settlers of Newark, Micah Tompkins is listed as Dr. Micah Tompkins, so he must have been a doctor. For a time at Milford Micah Tompkins secreted the Regicides William Goffe and Gen. Edward Whalley, in his shop giving them aid and comfort. His girls didn’t even know that “angels” were in the basement. Micah made his will on 30 June 1688 at Milford. Mary widow of Micah was alive in 1695. Micah and Mary Tompkins’ children were: Jonathan and Mary baptized in 1643, Elizabeth in 1645, Seth in 1649, m. Elizabeth Ketchal and Mary Bruen; Rebecca in 1653, Abigail in 1655; Micah in 1659, Mary Rose in 1669. Jonathan m Mary Pennington 12 Apr 1666 at Milford. MICAH, or MICHAEL, Wethersfield, removed to Milford 1639, and Lambert says he died 1649; but of that I find cause to doubt, for in Trumbull’s Col. Rec. II. 513, may be seen verification in 1661 and 5 by Michael T. of Milford, who must be thought the same person, as only one with this prefix is mentioned for a long course of years. He removed with a great company of friends to New Jersey, 1666, and July 1667 bought large tract from Indians on the Passaic river where now is the city of Newark. See Whitehead, 42, 3. By wife Mary he had at Milford Jonathan, and Mary, both baptized 17 Dec. 1643, soon after he and his wife had joined the church; Elizabeth Feb. 1645; David, 1647, died at 2 yrs. by casual. ; Seth, 1649; Rebecca, b. 2 Nov. 1653; Abigail, 1655; Micah, bapt. at New Haven, 27 Nov. 1659. RALPH, Dorchester, freeman 2 May 1638, removed about 1647 to Salem, there died probably in 1666, as his inventory is of 12 November of that year. ” Pioneers of Massachusetts”, C. H. Pope, 1900. “History of Salem, MA”, Sidney Perley, Vol II, 1926. This entry was posted in 13th Generation, Historical Church, Immigrant - England, Line - Shaw and tagged Goffe and Whalley, Newark Pioneer, The Truelove 1635. Bookmark the permalink. I must say I am very impressed. My husbands family’s chart lists the same Ralph Tompkins as his ancestor. We are visiting England in a few weeks and I thought to visit the area. What a great website! 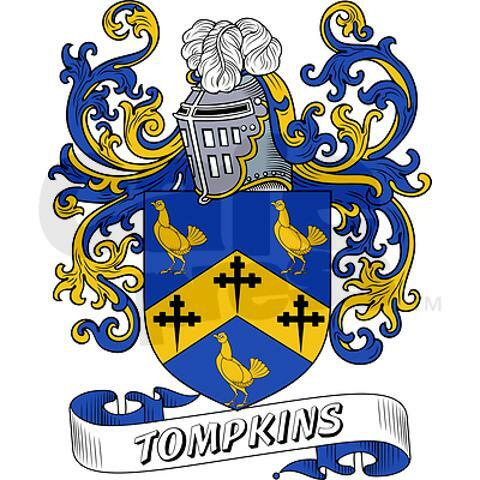 I am interested in the Tompkins coat of arms. Do you have proof that Ralph Tompkins used this coat of arms, and if so, by what authority did he use it? Also, what is the source of proof for the parents of Ralph Tompkins? (Hopefully not an unsourced genealogy.) Thanks for any information you can provide. I’m glad the posting was useful. I use the family coat of arms as an sign for immigrant ancestor because, for me, the standard sailing ship icon is kinda boring. In almost all cases, 17th Century immigrants did not have coats of arms at the time. If you were landed gentry, you had a pretty good thing going at home without a great need to cross the ocean into the unknown wilderness. Most immigrants were small farmers or tradespeople. While the standard sailing ship icon might be in your words, “kinda boring”, at least it would not have represented an improper armorial bearing. I am a Tompkins descendent, I am still trying to sort out our line. From what I have found my great grandfather was Jarvis H Tompkins, his father William Tompkins, his father George Tompkins, his father Jacob Tompkins, his father John Tompkins, his father Nathaniel Tompkins (?) his father John Tompkins Jr. married to Rebecca Knight, his father John B. Thompkins Sr. married to Margaret Goodman and his father Ralph Tompkins married to Katherine Foster. Any info or confirmation would be appreciated.